From the 14th to 17th May, Sustainable Futures in Africa Principal Investigator Dr Mia Perry and Sustainable Futures in Africa (SFA) Glasgow Hub Administrator Molly Gilmour traveled to Kampala, Uganda for what can only be described as the definition of a ‘short and sweet´ meeting. On May 14th Mia and I arrived to the University Guest house where we stayed during our visit. Arriving at almost midnight, we could still see the buzz of the city – people sharing meals by the road, small traders bustling around the city’s streets, a city that felt inviting, warm and friendly. We spent the morning having coffee with Alex and Anthony, SFA Hub Coordinator and Administrator respectfully, when we then walked to the College of Education and External Studies. It was fantastic to see where my counterpart, whom I work so closely with, spends his 9-5. After having the privilege to meet many of the respective Makerere University Deans and Heads of School, we embarked on a SFA Uganda hub meeting. At this meeting we caught up with network plans which have developed, especially those that were made during the recent meeting at the University of Glasgow – which our Ugandan partners were unfortunately unable to attend due to (what I would describe as draconian) UK Immigration authorities. We looked back at recent events in order to look forward; how can the SFA network develop – concerning research as we ask ‘how can we develop methodologies through arts based practices’, and ‘how can we ensure the core coordination of this network continues’, as it was evident through our short visit how imperative SFA Administrator Anthony is to our Ugandan colleagues. That afternoon SFA spoke at the weekly lunchtime seminar. It was attended by both students and academic staff from across the college. PI Dr Mia Perry spoke about the SFA Network and shared a presentation about the methodologies created and used by SFA. This had a fantastic impact on the attendees, as PhD students enquired as to how they could undertake a PhD placement with the network, and the Dean of Education outlining that he will introduce the SFA ‘Reporting Back Method’ to the Board of Directors for the Makerere University Graduate School. Walking through the slum-like-squatted area of Kampala, the smell of burning plastics and the dust being kicked up by school aged kids reminded me of my former missions with Save the Children and Médecins Sans Frontières; Something I wasn’t expecting which brought both a sense of familiarity and discomfort. Yet, arriving to the bright, warm and safe space which is ECOaction, and hearing the music, seeing the dancing, I felt right at home! Reagan welcomed us wholeheartedly as we arrived; Mia, Anthony, Alex, Vincent, Richard and I. Reagan, as accurately reflected in his projects, is an energetic, warm and a colourful character. Sitting in a room, one constructed by the community of recycled bottles, Reagan facilitated an introduction to SFA, SFA’s partners and introductions were conducted around this room. We met with Nilotika Cultral Ensemble, who performed for SFA partners alongside the community’s youth. Nilotika Cultural Ensemble shared their experiences of working with Western Organisations, and one member shared the challenges he endured during his previous partnerships with a quote ‘I am asked to sign at the expense of my culture’, that the financial stipulations by Western funding bodies allow for little/no autonomy for African partners. Being in this space as a University of Glasgow representative, an institution who have historically wholeheartedly embodied these extractive partnerships, I was faced with discomfort, but also the realisation that these partnerships must change: That there is a lot of work to do in building both trust and real relationships. There were countless examples of these damaged power relations throughout the three day visit which I experienced, and will continue to reflect and learn from. The evening was spent conducting ‘strategic planning’ with key stakeholders at ECOaction. More will be shared come on this in the coming months! Another cool, colourful and creative space in Kampala, SFA Partner 32 Degrees East is a multi-purpose resource centre including hosting artist in residence, meeting centres and art studios. Mia and Is final day, Thursday, was spent on future planning. 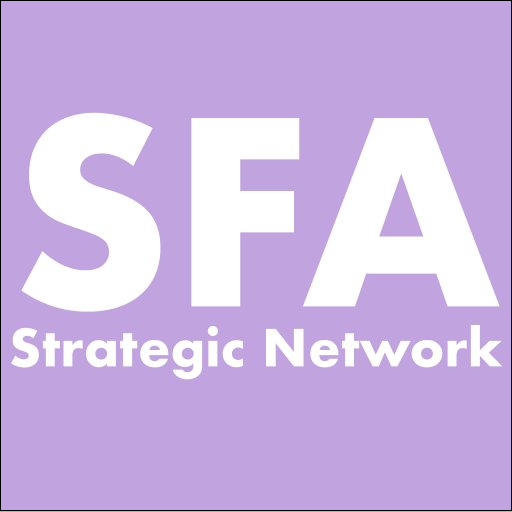 What future research projects is SFA going to undertake next? What funding is best suited? What partners will be involved? Anthony and I, the SFA Glasgow and Uganda research administrators, created communications strategies and Impact toolkits for the research hubs. Previous Post TEDx Reflections: HOW CAN I CONTRIBUTE TO SUSTAINABLE COMMUNITY DEVELOPMENT? Next Post Success for Abundance Fundraiser; eLearning Center secured for rural Malawi!